If you thought the first trailer for Marvel’s Avengers, Age of Ultron was good, there is more. Captain America, Hulk, Iron Man… all the avengers are great. But as the movie title states. 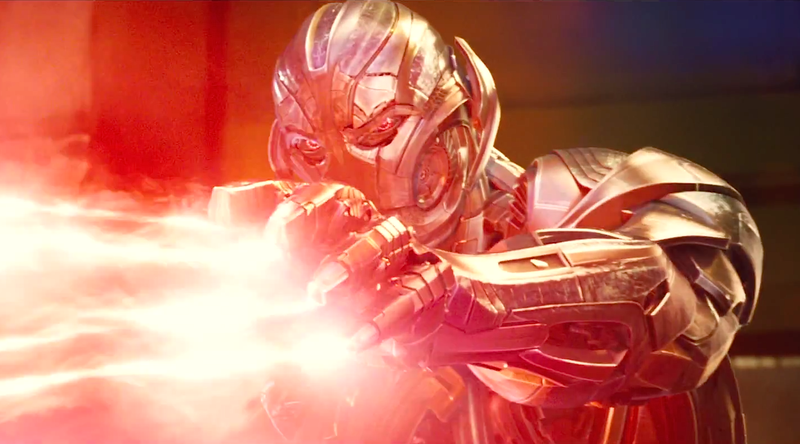 This is all about Ultron. Really hear these words delivered by the wonderfully voiced James Spader (Ultron), and I think you’ll agree that evil has never sounded so good. 2015 is going to be one of the best years for film. Aaaaaaaaaaaaah!!!!! That is a scream of joy. Holding it in? – not possible. Big question! Right now? Definitely Spader. I can’t wait to hear more of his dialogue as Ultron.